In our house fall is kind of a big deal. Fall means pumpkin spice everything and time for football. Greg and I are two, big football fans ourselves (Go Mizzou!) and Greg lives, eats and breathes football as part of his job at Dave Campbell’s Texas Football (texasfootball.com). As a kid, I loved spending Saturdays raking leaves and jumping in piles of them. Now that I’m grown (as much fun as jumping in a big pile of leaves would be) I wait a little bit longer for fall to arrive. 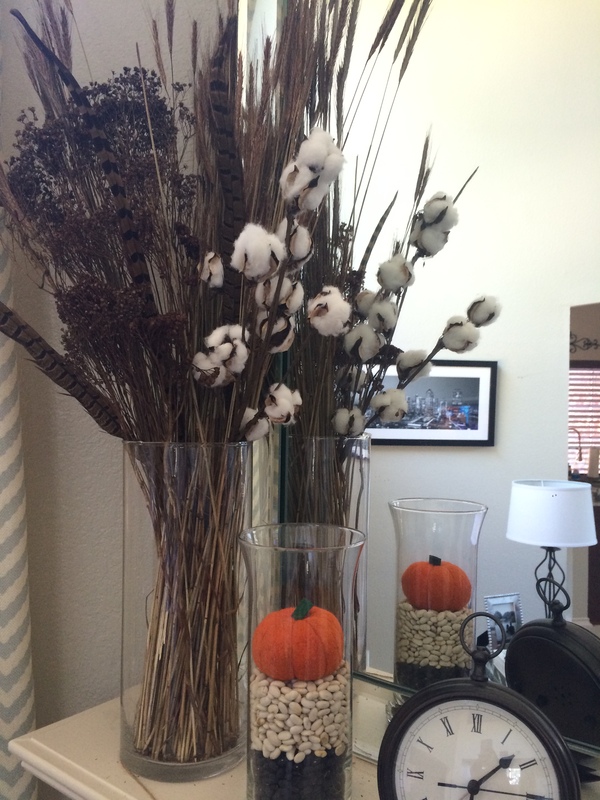 In Texas, fall slowly creeps in by November, so fall decor helps me have those cool, crisp air vibes just a little sooner. 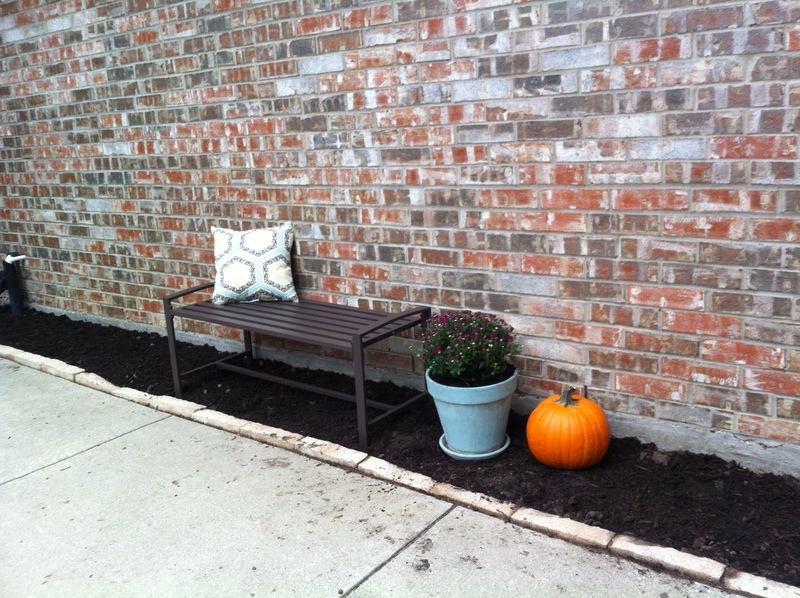 We just recently added to our front yard landscaping. I am so excited to share pics with you soon! 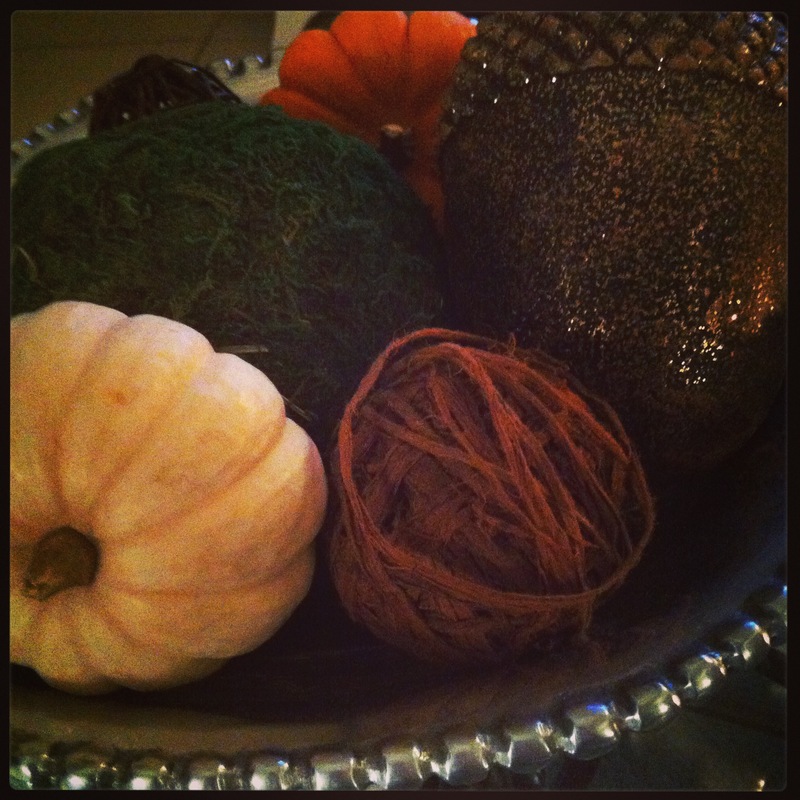 Decor Tip: Moss balls, gourds, pumpkins, acorns — mix them all in a pretty bowl or cute dish/basket. This one sits on our coffee table. 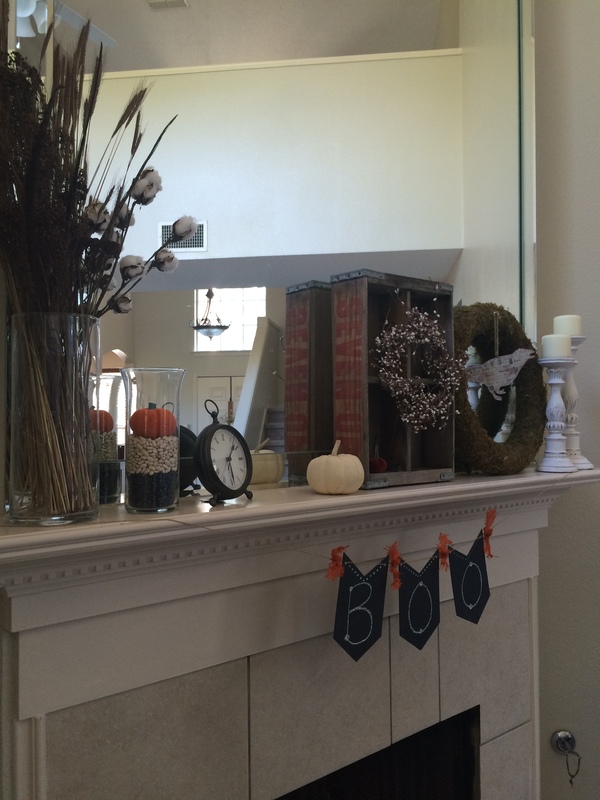 But as many of you know, my favorite place to decorate is the mantel. Any season, any holiday. 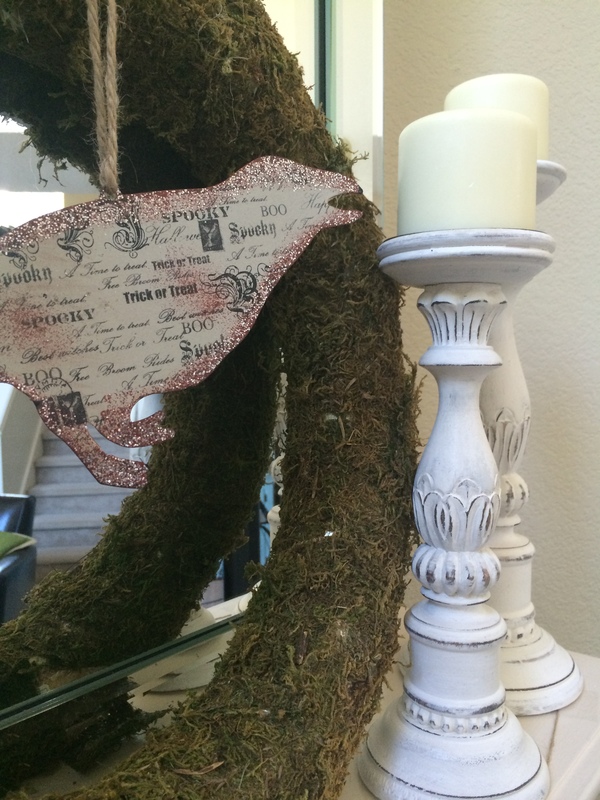 It is the focal point of our home and its my favorite place to create! My bff, Sarah, who lives in STL made this for me for Christmas last year. 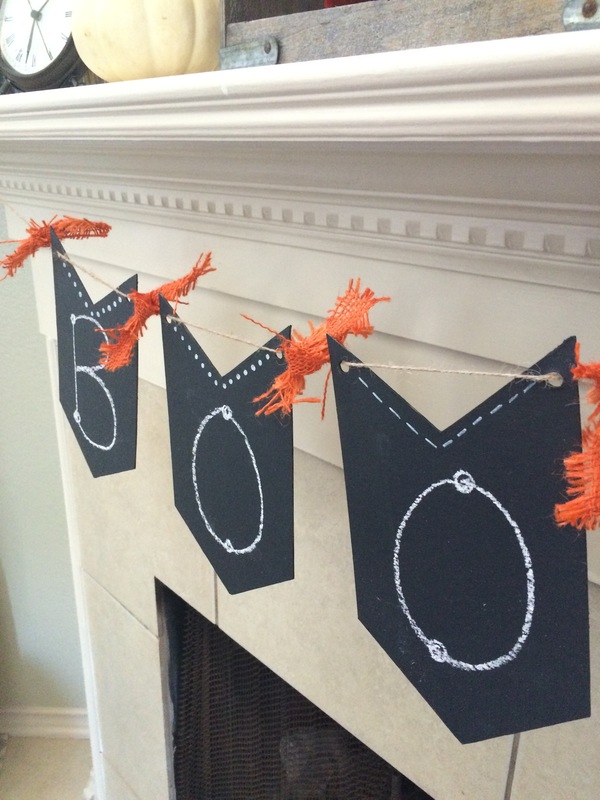 They are mini-chalkboard pennants. 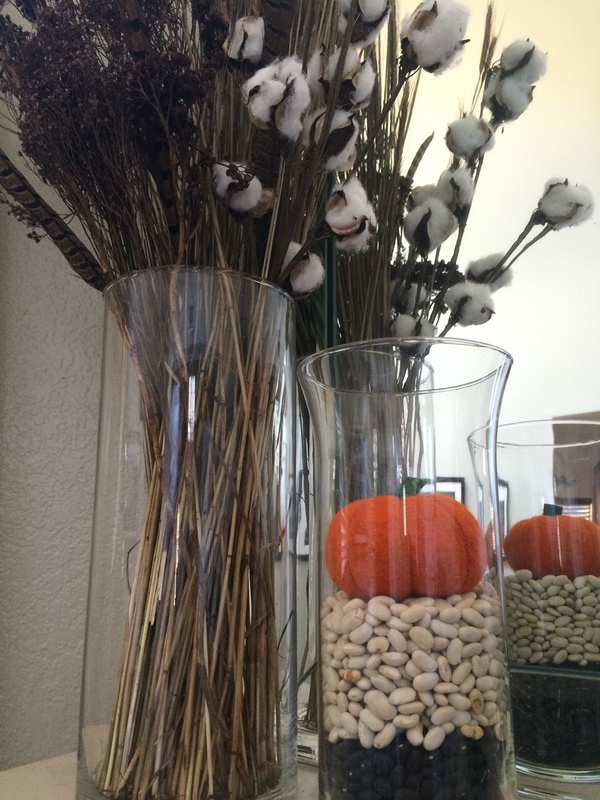 I have used them for many holidays, parties and to welcome guests into our home. So fun! 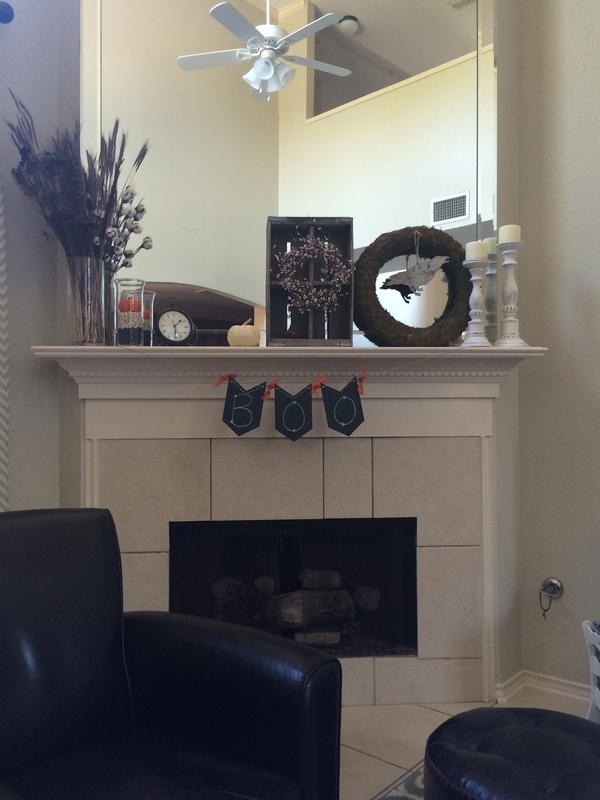 Halloween crow from Pottery Barn (old). 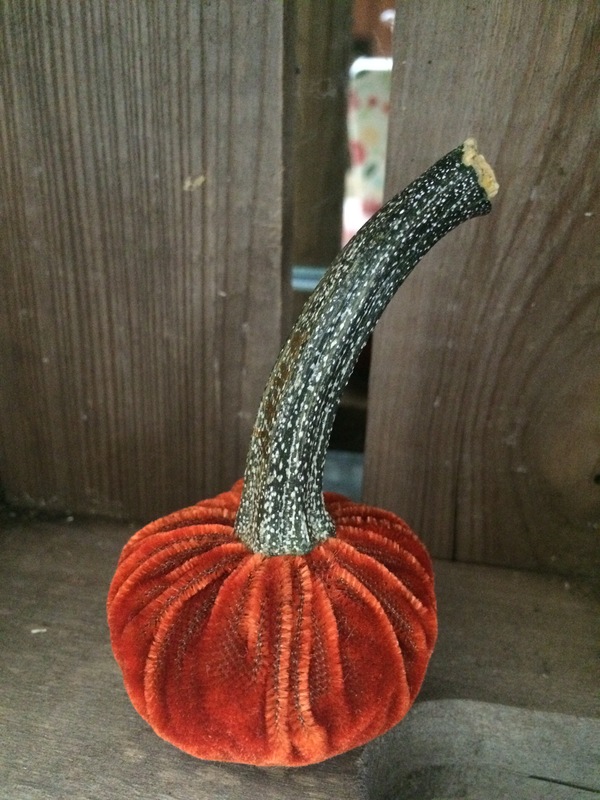 Pumpkin from Southern Charm Cottage in Flower Mound, TX (new). Fall is in the air! 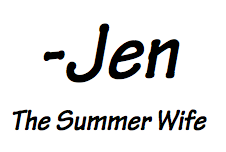 Great job, Jen.